Rendered Cities is organized by ANGL Collective. In a society obsessed with the visual, there is an increasing tendency to mistake good images with good architecture. Perfect renderings printed on glossy billboards have not only colonized global cities, but are also used to approve, evaluate and sell new construction projects. These digitally constructed, imagined landscapes become real before reality: their shiny presence merges with the existing urban environment, masking the raw construction sites they overlook and forming a representation of a future city in citizens' minds. 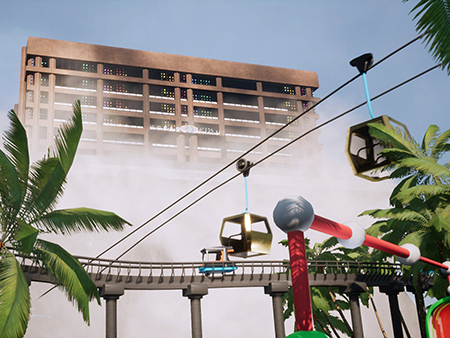 And when construction terminates, finished buildings imitate the aesthetics of digital architecture, leading to a hyper-real experience of physical space, as well as a fixed idea of what life in the city should look like.